Written by a western student of a western teacher, who was himself taught by a westerner, Buddhism in a Foreign Land is third-generation western Buddhism. As Buddhism is taking root in the West, evolving new forms to suit new conditions, much of its traditional oriental context is being called into question. 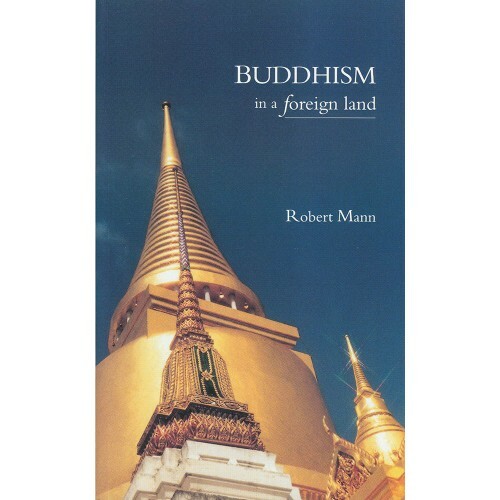 In this intriguing and provocative collection of talks, Robert Mann addresses many of the issues which confront Buddhism as it adapts to modern western culture. Rebirth and traditional cosmology, the role of ethics in 20th-century consumer society, the dangers inherent in confusing therapy with spirituality - these are just some of the topics included in this controversial book.